Charleston Heston's Costume for Secret of the Incas was the base for ideas of Indy's Costume. Indiana Jones is modeled after the strong-jawed heroes of the matinée serials and pulp magazines that George Lucas and Steven Spielberg enjoyed in their childhoods (such as the Republic Pictures serials, and the Doc Savage series). Sir H. Rider Haggard's safari guide/big game hunterAllan Quatermain of King Solomon's Mines, who dates back to 1885, is a notable template for Jones. The two friends first discussed the project in Hawaii around the time of the release of the first Star Wars film. Spielberg told Lucas how he wanted his next project to be something fun, like a James Bond film. According to sources, Lucas responded to the effect that he had something "even better," or that he "got that beat." English adventurer Frederick Albert Mitchell-Hedges. In general, when asking a member of the public to name an archaeologist, or even something about archaeology, Indiana Jones comes up. 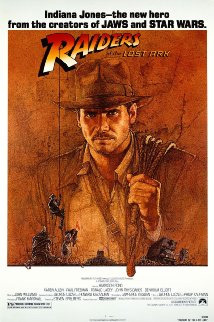 Students of archaeology and professionals alike often name Indiana Jones as one of their inspirations, or maybe what interested them in archaeology to begin with, despite some obvious issues with how Dr. Jones practices archaeology. No stranger to criticism when it comes to the practice of archaeology (treasure-hunter, looter, etc. ), Indiana Jones, as representative of archaeology and anthropology as a whole, has some deeper, core ethical issues as well. Cultural relativism, succinctly defined as regarding all cultures as equally valid, lies at the core of what archaeologists and anthropologists do. While far from perfect, it is at least something to strive for – the ability to see outside one’s own cultural biases, to be as un-ethnocentric as possible. Indiana Jones doesn't seem to be striving very hard. Relations with indigenous peoples is an important ethical debates in archaeology today, along with issues of ownership, who has the right to interpret the past, and of course, looting. Indiana Jones begins the first film immediately addressing ethical issues – as in, showing us the wrong way to go about archaeology. He has a side-kick, or perhaps a hired guide, an obvious representative of the indigenous people there. The guide fumbles along, not once asked for advice by Indiana, eventually even attempting to take the artifact for himself. The audience of course sees this as wrong – since Indiana found the artifact, it must be his. In reality, the guide may have held a more substantial claim. Ownership of archaeological sites or materials is notoriously slippery, but the Indiana Jones leads audiences to the incorrect assumption of finders-keepers, and that preservation and understandings lies solely with academics from the West. The ethical dilemmas of Indiana Jones are still current today, but they also reflect the roots of the archaeological discipline. Archaeology dates back much further, where affluent and enthusiastic collectors kept artifacts to show off to friends, but the discipline itself is rooted in colonialism. "The earliest development of archaeology then is the transformation from a hobby of those economically advantaged enough to pursue it, to a serious and highly regarded academic discipline." Indiana Jones represents the beginnings of that discipline, still very much in its infant stages, and unfortunately leading modern audiences to adopt the ideals taught in the three, now four, films.